At its latest keynote, Apple unveiled its next generation of smartphones, tablets and more. At its keynote today in San Francisco, Apple announced the next generation of iPhone and iPad devices, including the iPhone 6s and iPhone 6s Plus. The company also revealed its latest operating system for Apple Watch: watchOS 2. With watchOS 2, users will be able to access native third-party apps for Apple Watch, as well as a ‘Time Travel’ feature, which allows them to view future events and more by spinning the watch’s Digital Crown. The watchOS 2 release is scheduled for Sept. 16. Next, Apple announced its iPad Pro. Weighing 1.57 pounds and coming in at 6.9 mm thick, the tablet offers the biggest screen of any iOS device, at 12.9 inches on the diagonal. Powered by the A9X 64-bit chip, the iPad Pro is reportedly 1.8 times faster than a desktop-class CPU, and will offer 10 hours of battery life. The iPad Pro will be available in November in three configurations, beginning with a 32GB WiFi model for $799. A 128GB WiFi model will retail for $949, while the 128GB WiFi and cellular model will cost $1,079. For easy typing on the iPad Pro, users will be able to purchase a Smart Keyboard, which doubles as a screen protector. Artists, meanwhile, can purchase an Apple Pencil stylus, which includes sensors which work with the iPad Pro screen to measure the Pencil’s tilt, orientation and more, as users draw or write. Both the Smart Keyboard and Apple Pencil will launch in November, with the Smart Keyboard available for $169, and the Apple Pencil costing $99. Finally, iPhone 6s and iPhone 6s Plus were announced, and will come in a new rose gold color option, in addition to the standard silver, space gray and gold options. 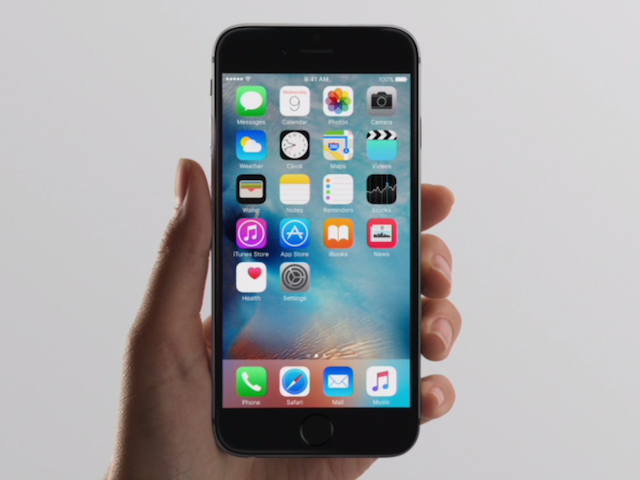 The iPhone 6s offers a 4.7 inch screen, while the iPhone 6s Plus offers a 5.5 inch screen. The phones will launch with the new iOS 9 operating system, which launches in full on Sept. 16. New for this generation of devices is 3D Touch, allowing users to trigger specific prompts or menus using touches of various forces. In the Mail app, this may see users preview their messages via a pop-up window, without actually opening them or marking them as ‘read.’ As another example, in Messages, users can preview websites linked in messages without bouncing out to Safari. On the Home Feed, users can force touch on app icons to access specific shortcuts. For instance, for the Camera app, this may allow users to access a selfie button to quickly load the camera and take a selfie. For the Maps app, users can access a shortcut for instant directions ‘home,’ and so on. Third-party apps, including Instagram and Facebook, as examples, will also support these gestures. For photographers, the new iPhones offer a 12MP iSight camera, with faster auto-focus, and a 5MP front-facing camera. The devices support 4K video recording, and via the Retina screen, will offer ‘flash’ for photos taken with the front-facing camera. In addition, a feature called “Live Photos” will allow users to automatically capture short video and sound clips along with their photographs, and play these videos using a force touch while browsing their photos. This Live Photos option is turned on by default, and extends the ‘capture’ moment for a few moments before and after the picture is taken, leaving the actual picture intact, but supporting additional animation. The iPhone 6s will be available in three configurations on standard two-year contracts: 16GB for $199, 64GB for $299 and 128GB for $399. The iPhone 6s Plus will be available in the same configurations, but at higher prices: 16GB for $299, 64GB for $399 and 128GB for $499. Pre-orders begin September 12, with the full release in 12 countries coming on Sept. 25. By the end of the year, the iPhone 6s and iPhone 6s Plus will be available in over 130 countries.